Marketing Mean s has carried out a survey of 500 people in four wards in Cornwall (St. Dennis & Nanpean, St. Stephen-in-Brannel, St. Enoder, and Ladock) to explore residents’ attitudes towards renewable energy projects. 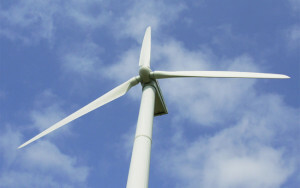 The survey was commissioned by REG Windpower, a company which is proposing to build two three-turbine community owned wind farms north-east of St Stephen in Cornwall. Polling results show nearly two-thirds of residents support the proposed community-owned wind farms on the brownfield sites at Scarcewater Tip and Pines Tip. REG Windpower is pledging to offer 100% community ownership of two wind farm proposals on China Clay tips. The wind farm projects, known as Pines Tip and Scarcewater Wind Farms and comprising three wind turbines each, would both be offered for community ownership with this offer secured by way of a legal agreement.